Organized in Manila and provinces of Capiz and Aklan in the Philippines, journalists from 3 nations experienced what makes the All-New Tucson a key part of Hyundai Motor’s already impressive line-up. The event, which marks the introduction of all-new Tucson to Asia-Pacific region, provided the opportunity for the press to test drive the vehicle along the road to one of the best tropical destinations in the world, the island of Boracay. In addition to visiting an important astrological observatory and local landmarks, the route demonstrated SUV’s dual purpose of satisfying customers’ need for adventure while providing a comfortable ride in urban driving conditions. 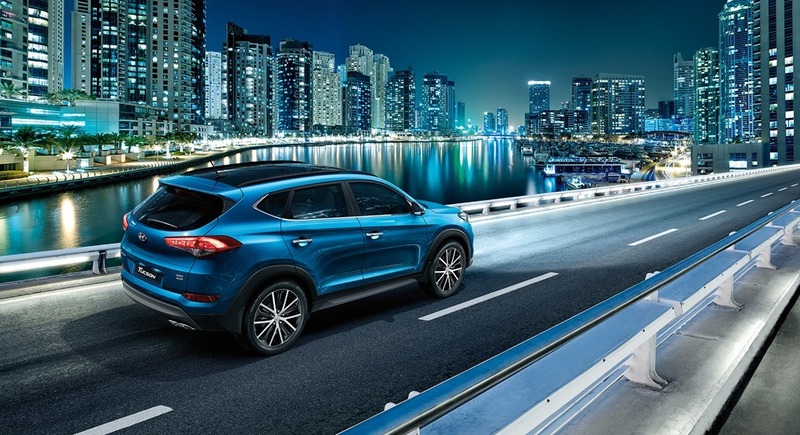 Previous generations of Tucson have sold approximately 3 million units globally. The All-New Tucson is expected to provide a significant boost in sales and further solidify Hyundai Motor’s leadership in the continually growing compact SUV segment. This early, the all-new Tucson already proved itself a winner, as it was named Best Compact-sized Utility Vehicle in Germany by prestigious automotive magazines Auto Bild and Auto Zeitung. The Tucson was adjudged the best SUV by occupying first spot in five out of seven categories, beating out four major SUV models in Germany. Continuing Hyundai Motor’s Fluidic Sculpture design theme, the All-New Tucson employs refined aesthetics with sculpted body forms and sporty contours for a bold, dynamic and athletic appearance. The front is dominated by a large hexagonal-shaped grill and LED-incorporated head lamps that harmoniously combine to create a bold, modern design. Sharp and agile design makes this model’s side profile sleeker and sportier, while extra-wide rear combination lamps make the rear appearance look balanced and fresh. Harmony between the Tucson’s dynamic exterior and roomy interior has been achieved through the optimization of its packaging and design. The sophisticated and functional interior is designed to provide an intuitive human machine interface, while the horizontal layout of the dashboard gives a stable and roomy interior feel. The All-New Tucson is larger than its predecessor and offers increased leg and headroom and extra cargo space. A generous 513-liter cargo area easily accommodates larger amounts of luggage. A new feature is a dual-level rear cargo floor, which further enhances the vehicle’s cargo-carrying versatility and a 1,094 mm-wide opening tailgate makes loading and unloading easier. The utilization of quality materials such as soft coverings on the upper and lower parts of the door trim and door armrest give the vehicle’s interior a sense of enhanced, premium quality. With clever suspension and engineering enhancements, the All-New Tucson is more responsive, delivering better handling and quieter, smoother, more comfortable ride. Its aerodynamics have been improved and provide a class-leading drag coefficient (Cd. 0.33), giving the vehicle enhanced high speed stability and a sleek look. The state-of-the-art AWD system helps the All-New Tucson maintain the maximum traction on rough, loose or slippery surfaces and improves lateral stability cornering. It employs Advanced Traction Cornering Control (ATCC), which is the next generation in WD traction. Previously, AWD systems control wheel spin by braking a spinning wheel or cutting power from the engine. The new ATCC system transfers torque to the wheels that have the most grip. Advanced structural engineering and an expanded use of sound-absorbing materials has helped achieve enhanced noise, vibration and harshness (NVH) performance levels (see appendix), particularly noticeable when compared to competitors. The Tucson’s many passive and active safety features have earned the All-New Tucson top safety ratings including the Insurance Institute for Highway Safety’s highest ‘Good’ rating on the ‘Small-Overlap’ Test and a 5-star NHTSA rating in the US market. It ensures best-in-class skeletal-rigidity through the greater use of Advanced High Strength Steel and a hot-stamping process. The use of Advance High Strength Steel has increased from 18% to a total of 51% and provides enhanced safety and driving performance. Vehicle Stability Management (VSM) helps to ensure safe and predictable performance when simultaneously braking and cornering, especially on wet, slippery and rough roads, achieved through cooperative control between Electronic Stability Control (ESC) and Motor Driven Power Steering (MDPS). The standard front and rear disc brakes have been enlarged to help the driver deal with unstable driving conditions and enhance accident avoidance. The Blind Spot Detection (BSD) provides a visual alert in the side mirrors and cluster display, also an audible alert may be triggered if the driver signals to turn into the blind spot area. The All-New Tucson can be equipped with six airbags that deploy in dual stages at varying pressures depending on crash speed. This system minimizes the chance of injury that could be caused by airbag deployment.